Netflix has pulled an episode of comedian Hasan Minhaj’s Patriot Act that tackles the murder of journalist Jamal Khashoggi from its Saudi Arabian service following a complaint from the kingdom. 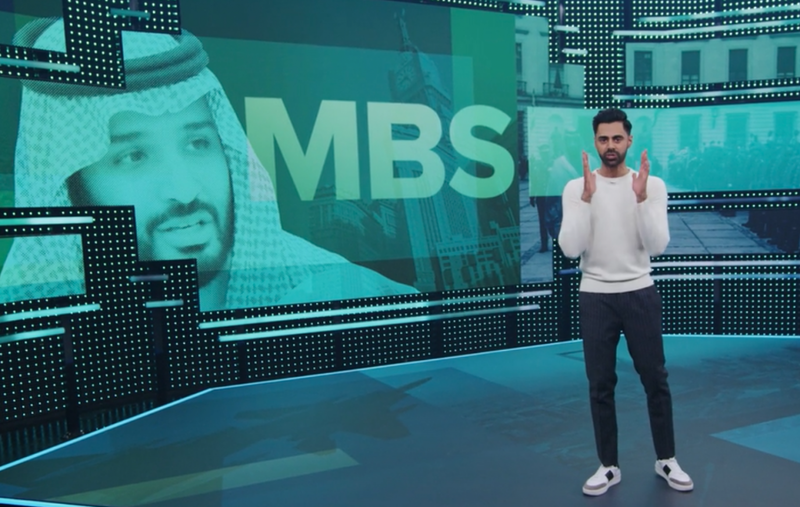 The streaming giant yanked the half-hour episode, originally published on 27 October and highly critical of Crown Prince Mohammed bin Salman, from the platform last week. However, it is still accessible outside of the territory. According to the FT, which first reported the news, Saudi’s Communications and Information Technology Commission requested that the platform remove the episode because it allegedly violated the kingdom’s cyber-crime law, which states in part that the transmission of material impinging on “religious values, public morals and privacy” through the internet is a crime punishable by up to a five-year prison term or a maximum fine of $800,000. The episode has been available in Saudi Arabia since October. It was removed from the site following the complaint, and once Netflix’s lawyers had found it to violate local law. Saudi’s cyber-crime law has courted controversy, with some human rights organisations claiming it is used to limit free speech and convict activists who use social media platforms to criticise the government. Washington Post global opinions editor Karen Attiah, who edited Khashoggi, called Netflix’s removal of the episode “quite outrageous”. She wrote on Twitter on Tuesday (1 January) that Minhaj “has been a strong, honest and (funny) [sic] voice challenging Saudi Arabia + Mohammed bin Salman in the wake of #khashoggi’s murder. He brought awareness about Yemen”.